At one point last year, I was frequenting Warrior Grill out at Strawberry Hill. 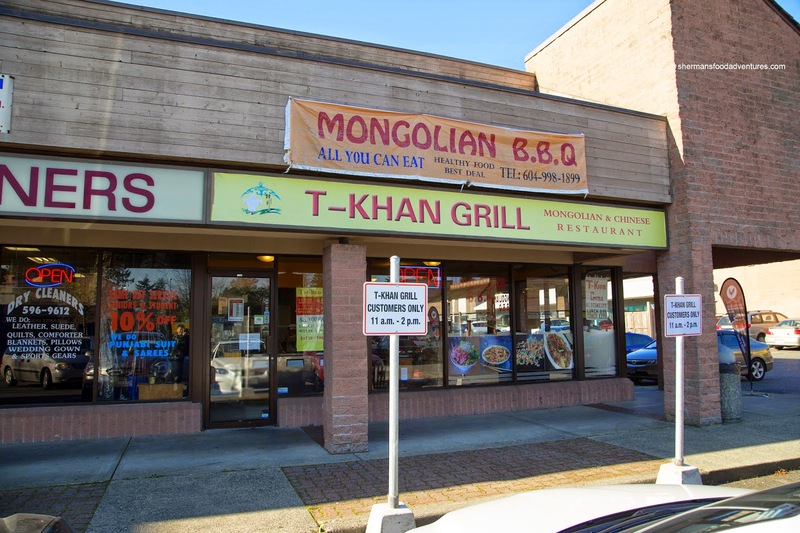 Yah, I realized that it wasn't "true" Mongolian BBQ, but really, it was okay for an inexpensive lunch that wasn't a burger. Suddenly it closed and there went one of my go-to places. 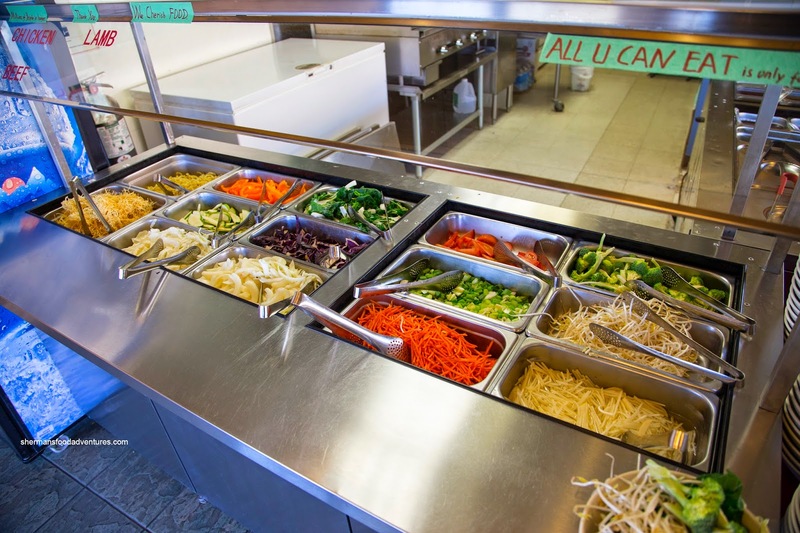 Then recently, a new Mongolian BBQ opened up in Newton where the old C-Lover's used to be located. With strangely the same setup (and equipment) as the defunct Warrior Grill, I am wondering if there has been a reincarnation here (albeit with different owners). Initially, I was planning on doing the all-u-can-eat, but then it donned on me that I neither had the time nor the appetite to do such a thing. Besides, the large bowl provided was more than enough for me to cram all the food I needed for lunch. 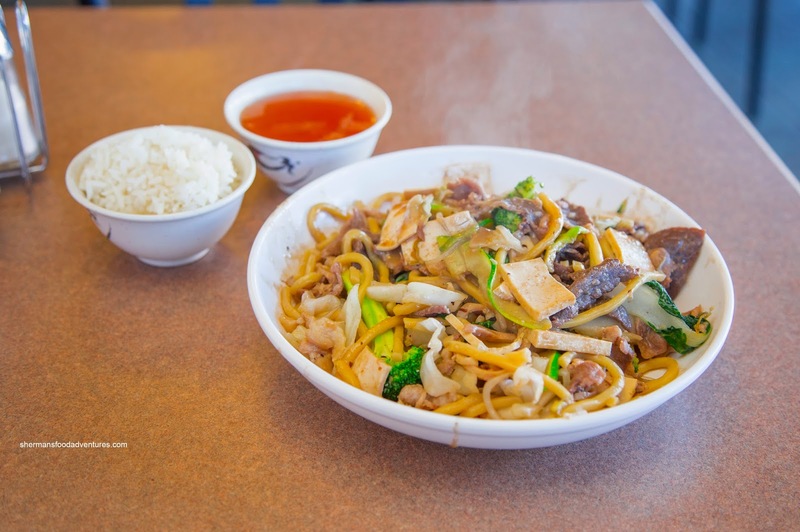 With a modest selection of veggies and noodles, I gingerly and sparsely loaded up my bowl. Nothing was particularly amiss here as things looked fresh. Onto the meats, I went for everything including beef, chicken, pork and lamb. After than, I chose my sauces and made a bloody mess of things. There must be a better way of doing things... Maybe bigger spoons? A dispenser? Otherwise, the sauces get all mixed up anyways due to spillage. 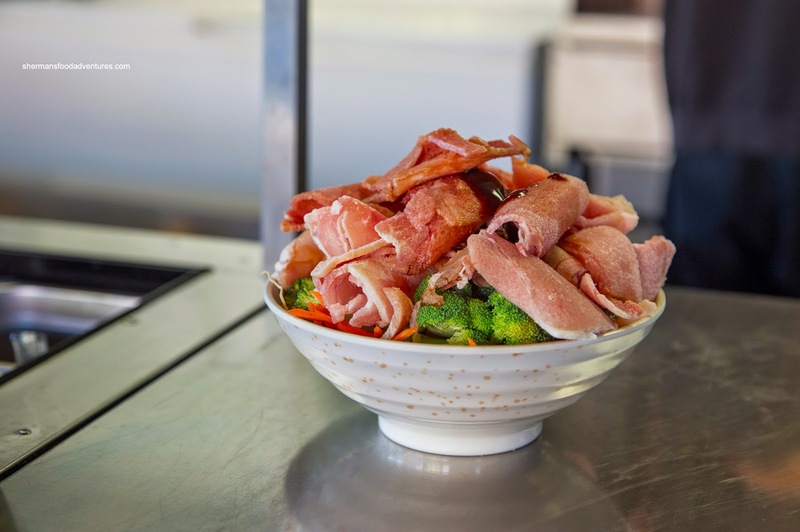 Once constructed, my masterpiece was piled high with ingredients. The Tetris-like precision meant that even a light wind would send it toppling over. Not too long after, it was swooped up and prepared on the flattop. 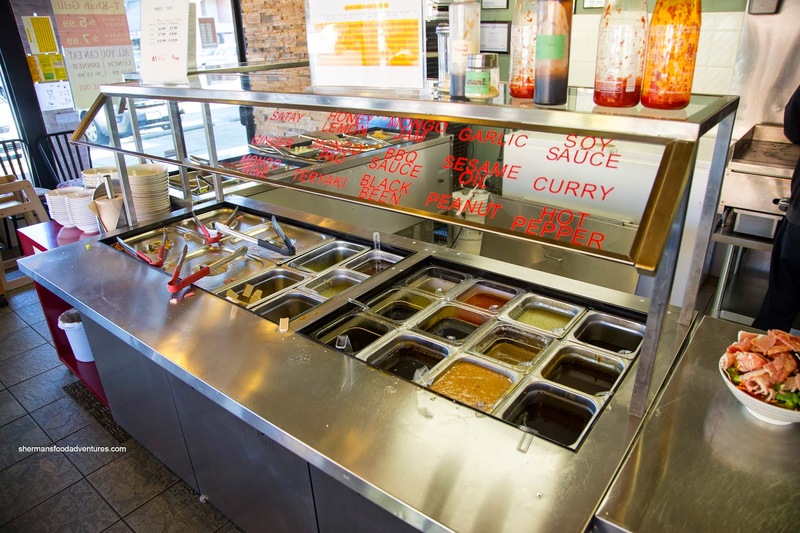 Similarly to the old Warrior Grill, the fact they don't have an actual Mongolian grill meant that the food may have not necessarily cooked as fast. As a result, caramelization would be less and moisture at the bottom of the plate would be an issue. On the other hand, I found it acceptable and it ended up being a hearty meal on the cheap. Although it isn't the sexiest place nor was it amazing food, the fact that the owners were super accommodating and friendly makes me want to visit them again.